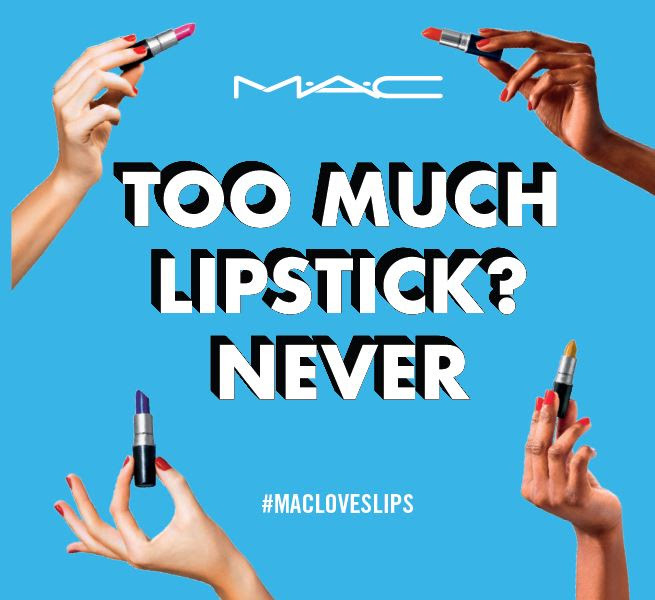 This is for sure the best beauty news of the day: M.A.C celebrates National Lipstick Day with free Lipstick. Say what? Yes free lipstick for everyone! On the 28th of July it is National Lipstick Day and if you visit your favorite M.A.C store on this day you will receive a free lipstick in one of the suggested 4 shades as listed below! Please note: 1 lipstick per customer as long as the stock lasts. So be an early birth coming Saturday and get your hands on one of the perfect summer shades. Will it be Ruby Woo, Coral Bliss, Costa Chic or the CB 96 for you?